Emma and I won a clinic with advanced eventing clinician Mary Schwentker on August 29th, 2015 at the Fauquier Fair grounds. Come watch the fun demonstrations and see us in action. We’ll be riding at 11am in the outdoor arena. Indoor facilities are available in case of rain. 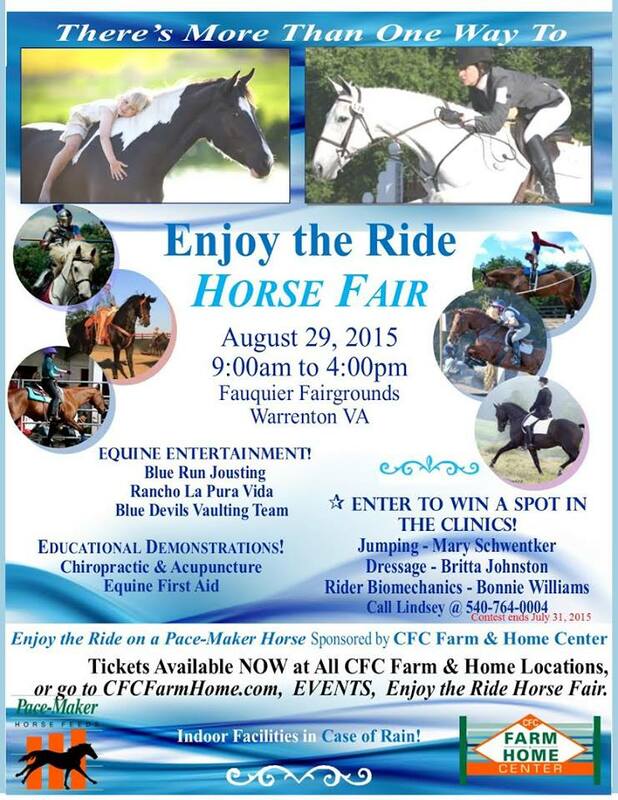 Tickets are available at all CFC farm locations and online at cfcfarmhome.com.